After announcing last December the arrival of the character of The Witcher on his game, Capcom gives us the exact date of his debut in Monster Hunter: World. 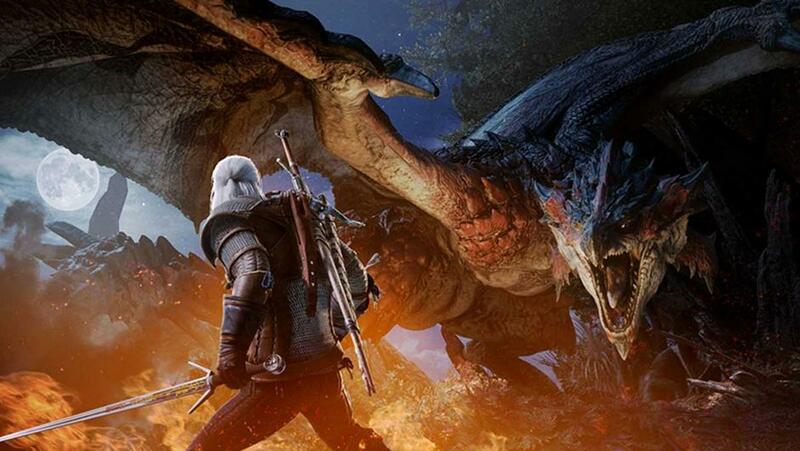 On December 10, Capcom announced its partnership with CD Projekt Red and the arrival in 2019 of its famous Witcher: Geralt Of Rivia. A little over a month later, we get the exact date of arrival of the character of the The Witcher Series . So it is February 8 that the famous Monster Hunter will enter the game. You will have probably noticed, this date is valid only for players on PlayStation 4 and Xbox One. PC players will have to be a little more patient than their friends on console before being able to test this new character. For now no new trailer since December, so we do not know much about the characteristics of the character in play CD Projekt Red had announced that his star Witcher would remain true to himself, both by his handling of the sword or only by its use of magic. Another good news is that Geralt arrives in a update completely free, so you can discover his hunting skills without paying a dime. In addition, our beloved Witcher will be accompanied by a new series of quests inspired by the universe of The Witcher. The latter will integrate the mechanics of CD Projekt Red’s RPG into the world of Monster Hunter: World. The Iceborne extension, which was announced at the same time as Geralt’s arrival, did not receive a specific release date. Nevertheless, we already know that the wait will be longer since Capcom announced that the extension would not be available before autumn 2019. Infinity Ward teases new Call of Duty game for 2019: Ghosts 2 or MW4?